Macadamia nuts can return to their original state by soaking them for 20-30 min in cold water. When macadamia nuts are in their original state you can easily make macadamia nut milk and cheese at the same time. 1.Blend 1 cup of soaked macadamia nuts with 1 cup water in blender of food processor until creamy smooth, add water until you have a slurry that can be poured. 2.Pour mixture into cheese cloth and allow the macadamia milk to drain into a bowl for 6 hours or so. 3. take the macadamia cheese in the cheese cloth and mix with salt and lemon to taste, this helps the fermentation process. 4. I make into small patties and sprinkle with herbs and edible flours for a beautiful plated dish, place in refrigerator. 5. Also I individually wrap the patties in wax paper to eat over the course of 1-2 weeks. Enjoy the yummy Organic Raw vegan macadamia nut cheese! Since macadamia milk has a short shelf life, place in refrigerator and enjoy for the next 2-3 days. Enjoy yuor Organic Raw Vegan Macadamia Nut milk! This entry was posted in A Superfood, Farm Direct, Hawaii, Hawaiian Macadamia Nuts, Healty Snack, Mac Nut Oil, mac nuts, Macadamia nut recipes, Macadamia nuts, Organic Macadamia Nuts, Raw macadamia nuts, Super Food and tagged Fresh Macadami Nuts, Gift Basket, Hawaiian macadamia nut, Mac Nut Oil, Macadamia nut cheese, macadamia nuts, Organic Green Coffee, organic hawaiian farm, Organic Macadamia Nut Oil, paleo diet, Raw, Raw Nuts, Superfood on September 14, 2016 by Mahina Mele Farm. Organic Macadamia Nuts & Oil Recipes, a chefs delight! 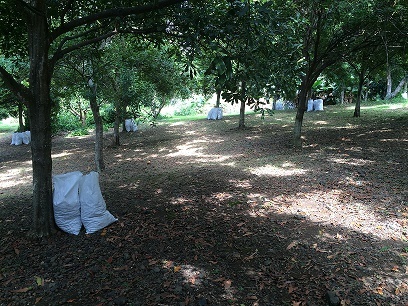 Macadamia nuts & Oil are extremely versatile from nuts to cheese, butter, baking, stir-fry, popcorn, dessert, fish, etc…..
Here’s how we use macadamia nuts and oil here on Mahina Mele Farm..
 Macadamia nuts can be substituted for other nuts measure for measure in most recipes and vice versa.  Some recipes call for ground macadamia nuts. Simply put them in a food processor and pulse until desired consistency is achieved. Blending for awhile you’ll end up with nut butter-yum.  If you do over-process, macadamia nut butter is delicious as a spread. No need to add anything to the butter but a hint of salt brings out more flavor we also add chocolate to make a chocolate macadami nut butter great with a spoon. Use ground nuts in pastry dough or sprinkle on the bottom of pie shells for a delightful change of taste.  Our nuts are dehydrated but you may lightly toast nuts before adding to the recipe will yield a new flavor.  Always let toasted nuts cool down before grinding or chopping to prevent them from becoming oily or pasty in texture.To toast: Spread nuts in a single layer on a baking sheet. Place in 350-degree F. oven. Toast until golden, about 12 to 15 minutes. When using a toaster oven, cut the time in half. It’s best to toast only what you need at the time as toasted nuts will not store as well as raw nuts.  Macadamia nuts pair particularly well with coconut, chocolate, and fish. You ll have the tastiest salad dressing! what is in the cloth is cheese, add salt and lemon to desired taste to help preserve the cheese. make into patties and enjoy a soft delicious cheese great on crackers. This entry was posted in A Superfood, Farm Direct, Hawaii, Hawaiian Skincare, kona coffee, Mac Nut Oil, Macadamia nuts, Mountain Thunder Coffee, Organic Coffee, Organic Green Coffee, Organic Skincare, Pure Skincare, Super Food and tagged 100% Kona, coffee, Fresh Macadami Nuts, Gift Basket, Gourmet Coffee, Hawaii, Hawaiian macadamia nut, Kona, Mac Nut Oil, Macadamia nut cheese, Macadamia Nut Oil recipes, Macadamia Nut Recipes, macadamia nuts, Organic, organic hawaiian farm, Organic Macadamia Nut Oil, organic macadamia nuts, Organic Macdamia Nuts, paleo diet, Raw Nuts, Skincare, Superfood on July 14, 2016 by Mahina Mele Farm. 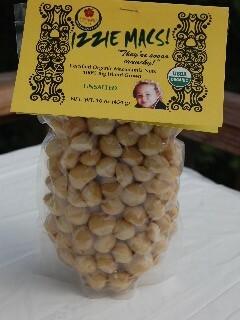 Certified Organic Hawaiian Macadamia Nuts direct from our farm to you. We are not only Certified Organic Hawaiian Nuts they are also dehydrated, which maintains their nutritional vitality and keeps them so buttery and crunchy. 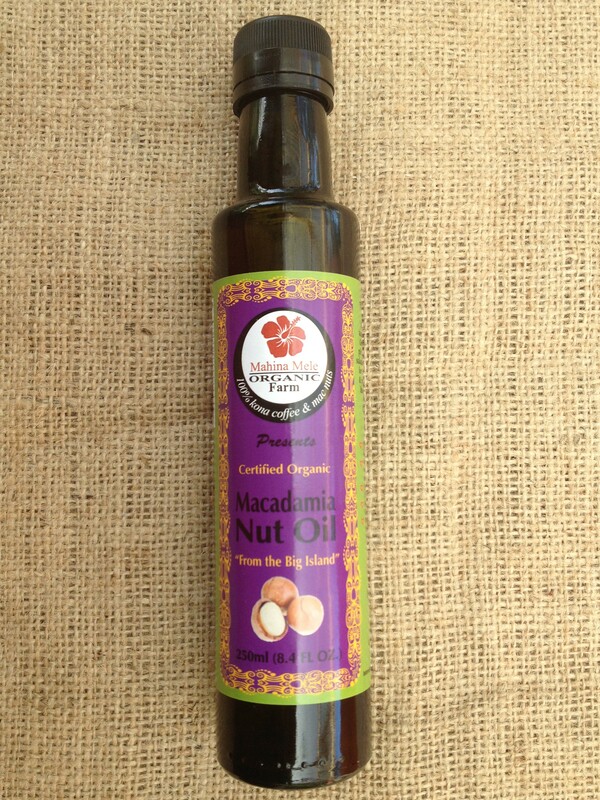 We also offer Certified Organic Macadamia nut oil that we press here on the farm , and macadamia nut butter. We are the only organic macadamia nuts processors in the U.s that we know of which means we sell out fast, your getting the freshest macadamia nuts available direct from the people that care. Also try our Organic Kona Rose Coffee for a truly wonderful coffee experience. Rich and smooth with chocolate and fruit undertones, Kona Coffee is a treat! This entry was posted in Uncategorized and tagged 100% Kona, Bulletproof coffee, coffee, Dr. Mercosa, Fresh Macadami Nuts, Gift Basket, Gourmet, Gourmet Coffee, Hawaii, Hawaiian macadamia nut, Macadamia nut cheese, macadamia nuts, Organic Green Coffee, organic hawaiian farm, Organic Macadamia Nut Oil, organic macadamia nuts, paleo diet, Raw, Raw Nuts, Skincare, Superfood on June 24, 2016 by Mahina Mele Farm. Organic Macadamia Nut Oil is Super. This high heat oil is nutty an delicious and Super versaltile, lending itself ti stir-frys, salad dressings, baking, Organic Macadamia Nut oil is rare to find here in the U.S., we pick, process, and press ourselves bottle in green glass to maintain its vitality. We do not process any other nuts in our facility. We are farm direct and have the purest gourmet organic Macadamia Nut oil available. Benefits: However, between 78 to 86 percent of the fat in Macadamia nuts is monounsaturated (the good for you, heart-healthy kind of fat). Monounsaturated fat helps lower cholesterol and decreases your risk of heart disease and stroke. In addition, macadamia nuts are one of the only food sources that contain palmitoleic acid (a type of monounsaturated fatty acid that may speed up fat metabolism, thus reducing the body’s ability to store fat). Because of its high content of monounsaturated fat, macadamia nut oil is fast becoming a favorite among top chefs around the world. Not only is it healthier than olive oil and canola oil, but many people also believe that it has a better taste. 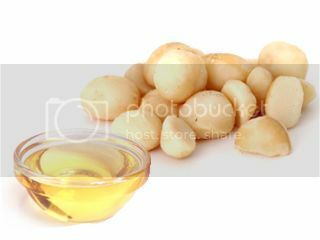 In addition, macadamia nut oil has a higher smoke point than olive oil, which means that it can be cooked at higher temperatures without breaking down and losing its flavor. This entry was posted in Uncategorized and tagged 100% Kona, Benefits, Bulletproof coffee, coffee, Dr. Mercosa, Fresh Macadami Nuts, Gift Basket, Gourmet, Gourmet Coffee, Green Coffee Oil, Hawaii, Hawaiian macadamia nut, Kona, Kona COfee, Mac Nut Oil, macadamia Nut, Macadamia nut cheese, macadamia nuts, Organic Macadamia Nut Oil, paleo diet, Raw Nuts, Skincare, Superfood on May 17, 2016 by Mahina Mele Farm. Organic Coffee 100% Kona is a rare commodity. 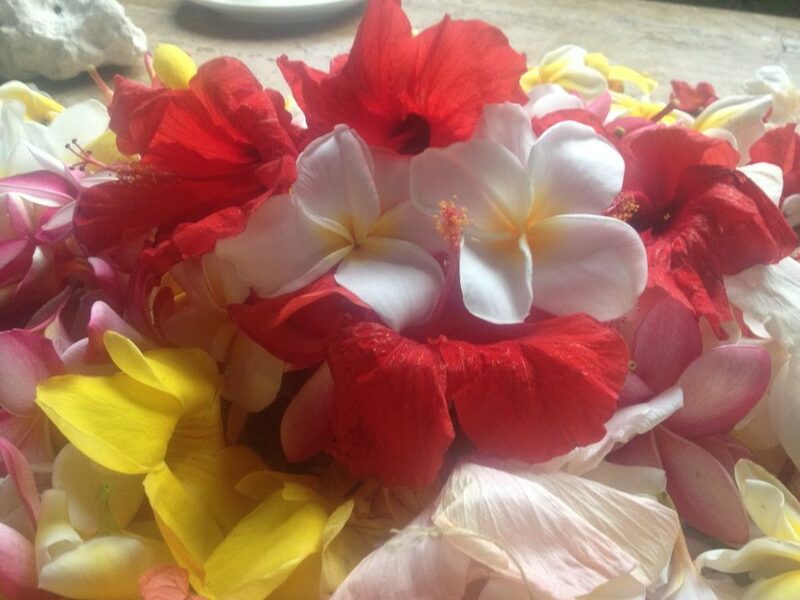 We are a family run Organic Kona Coffee and Macadamia nut Farmers and processors. Our mission is gourmet coffee and macs everyday. Our coffee is roasted weekly and shipped to you directly. Farm direct, we want to serve you the freshest and high quality coffee available. Our coffee is smooth, rich, full bodied with chocolate and fruity undertones roasted to perfection. Great hot or cold, day or night, thank you and Enjoy! This entry was posted in A Superfood, Best Coffee, Bulletproof Coffee, Expensive Coffee, Farm Direct, Green Coffee Oil, Hawaii, kona coffee, Organic Coffee, Organic Kona Coffee, Organic Macadamia Nuts, Organic Skincare, Super Food and tagged 100% Kona, Benefits, coffee, Gift Basket, Gourmet Coffee, Green Coffee Oil, Hawaii, Hawaiian macadamia nut, Kona, Kona COfee, Kona Coffee, Organic, Organic Green Coffee, organic hawaiian farm, paleo diet, Superfood on May 16, 2016 by Mahina Mele Farm. “What can compare to the sweet, buttery mac nut’s tender embrace? As far as nuts, seeds, and pseudo-nuts go, its fatty acid profile is unparalleled. Throw a handful into a bowl of Greek yogurt, along with blueberries, blackberries, and strawberries (or any berry, really), and you’ve got yourself a rich, masterful dessert with minimal linoleic acid. And it’s got good amounts of magnesium, manganese, thiamine, copper, and iron. Not to mention some fiber too. Pack a baggy full and you’ve got yourself the perfect trail food for day long hikes. I tend to get a little carried away when it comes to those little mouth bombs of satiety, so I apologize. Today’s post concerns the mac nut’s lifeblood: macadamia oil. I know what I’ve said about seed oils in the past, but this is different. I liken the concept of macadamia nut oil to that of olive oil; they are inherently, obviously, blatantly fatty foods, and extracting said fat isn’t a stretch, nor does it require industrial solvents and complex processes (they may do so to increase production and efficiency, but you can crush a mac nut and leave an oily residue; you can’t do the same for a kernel of corn to produce corn oil). In fact, the layman extracts his own virgin, first-press macadamia nut oil every time he bites into one. You can feel the macadamia oil droplets oozing out of the obliterated nut mass and into your mouth. Being the most energy (specifically, fat-derived energy) dense nut of all, it’s totally saturated with the stuff. Macadamia oil imparts a mild, buttery, rather macadamia-y flavor to foods, but it’s mild enough to use for homemade mayonnaise. It is highly shelf-stable and resistant to heat-induced oxidation; in one test, it bested rice bran oil, walnut oil, sesame oil, almond oil, avocado oil, grapeseed oil, and hazelnut oil in an oxidative potential test. Of all the seed and nut oils, macadamia oil withstood temperatures up to 120 degrees C (about 250 degrees F) without significant oxidation. It also excelled at the shelf stability test, being the only oil tested that exceeded the manufacturer’s given “best-before” date. I rarely expect companies to be totally accurate, but to be completely wrong in the opposite direction is a nice surprise! Keep your macadamia oil in a dark bottle and in the fridge, or a cool dark place, and I bet it’ll stay fresh even longer. I’m still wary of doing any heavy duty sauteeing or high heat grilling using macadamia oil as the primary fat, but it looks to be pretty stable as far as oils go with a smoke point of anywhere between 210 and 234 degrees C (410-453 degrees F), depending on who you ask.Read more: http://www.marksdailyapple.com/macadamia-oil/#ixzz48UKPwlRY” I love this article!! This entry was posted in A Superfood, Farm Direct, Hawaii, Healty Snack, Mac Nut Oil, mac nuts, Macadamia nuts, Organic Kona Coffee, Organic Macadamia Nuts, Organic Skincare, Super Food and tagged Hawaiian macadamia nut, Kona, Mac Nut Oil, macadamia Nut, Macadamia nut cheese, Organic, organic hawaiian farm, organic macadamia nuts, paleo diet, Raw, Raw Nuts, Superfood on May 12, 2016 by Mahina Mele Farm. This entry was posted in Best Coffee, Bulletproof Coffee, coffee-slider, Expensive Coffee, Farm Direct, Hawaii, kona coffee, Mac Nut Oil, mac nuts, Macadamia nuts, Organic Coffee, Organic Macadamia Nuts and tagged 100% Kona, Bulletproof coffee, Gourmet Coffee, Hawaii, Hawaiian macadamia nut, Mac Nut Oil, macadamia Nut, Macadamia nut cheese, macadamia nuts, Organic, Organic Macadamia Nut Oil, organic macadamia nuts, paleo diet, Raw, Raw Nuts, Superfood on April 7, 2016 by Mahina Mele Farm.